At The Ganzhorn Suites, we are committed to meeting the evolving needs of discerning residents with later-stage memory loss. Our heartfelt determination to make a difference in the lives of those we serve is what makes our community different from any other memory care community you’ll find. We believe resident-centered, evidenced-based memory care and programming ensure the best possible lifestyle for our residents. Our clinical outcomes, benchmarked to national data, demonstrate our exceptional care. Our memory care programs are routinely updated to reflect the latest Alzheimer’s research findings and clinically proven care practices. At The Ganzhorn Suites, we focus on innovation in environmental design to help residents maintain their cognitive function for as long as possible. Experts consulted with our team on the impact of light, sounds, color and textures in order to incorporate safe, soothing surfaces, fixtures and furniture. Each space within our community reflects careful research in best practices for Alzheimer’s and dementia care. Our purpose-built design creates smaller, more familiar spaces where residents feel safe and at ease. Residents are encouraged to walk through the “neighborhood”, sit at the kitchen table or take a stroll outside. Our intimate setting promotes independence in a fully secure environment. State-of-the-art safety and monitoring systems allow residents to enjoy maximum freedom in a protected environment. Our Columbus, Ohio memory care facility includes 64 private suites (with private baths) within four small households, each serving residents who are in similar stages of dementia. These households are built around beautifully designed tranquility gardens with circular paths that provide residents with the opportunity to enjoy the outdoors. The gardens’ zen-like feel offers the perfect backdrop for aromatherapy and other life-enrichment programming. 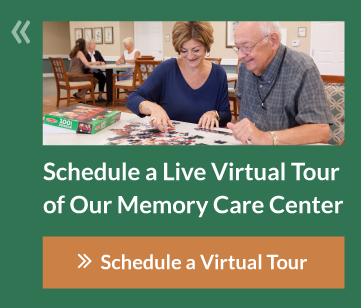 Our Columbus Ohio based memory care facility offers a team of Certified Dementia Practitioners® (CDP®) who passionately dedicate each day to providing life-enriching care to our residents. A CDP has earned the credential that recognizes the highest standard in Alzheimer’s and dementia care practices. 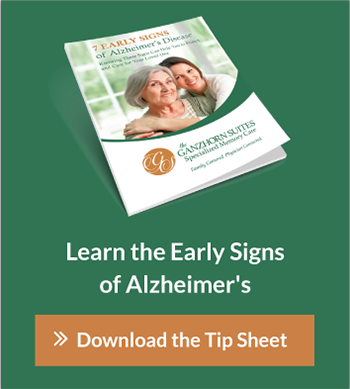 This provides families with security and comfort in knowing that their loved one is being cared for by skilled, caring and competent professionals who have completed extensive Alzheimer’s and Dementia training. Not only do we have the most qualified staff, but also higher staff-to-resident ratios than most Alzheimer's facilities throughout the country, which means more attentive, personalized care and services. And because our team consistently provides care to the same small group of residents, strong bonds form between caregivers, residents and families at our facility. Our comprehensive systems for recruiting, hiring and training caregivers develop consistent results and committed team members. We attract the best staff in our field and we continuously find new ways to motivate and educate them.